With CLE Prieto, Christian Eiroa rolls out a box-pressed Nicaraguan cigar that is the newest offering from CLE. A bold, dark blend that will surely please any cigar enthusiast yearning for a complex, tasty maduro. 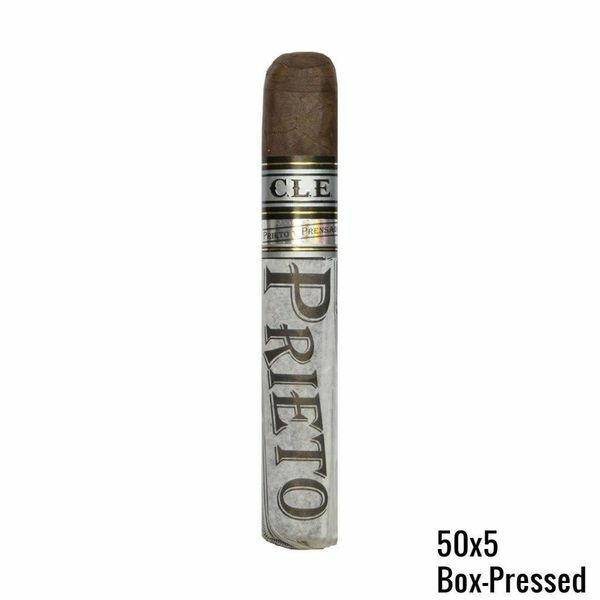 CLE Prieto is a delicious medium to full-bodied blend that booms out thick clouds of smoke with every puff. Intense coffee and chocolate notes make this one a must-try for fans of robust blends. Look, there are few things that I enjoy more than a dark, full-bodied cigar. Believe it or not, they are my absolute favorite cigar, although to be fair, I’m the kind of person who tends to enjoy smoking a full-flavored cigar while I am also consuming a fantastic full-flavored beer, something that could be almost mistaken for a loaf of bread in a jar, something like a Guinness or some other local stout or porter. And if you’re like me, you’re sure to know that the world is hard for those of us looking for Maduro cigars. They are hard to find, and the truth is that finding a good Maduro cigar is something harder still. When you find a good cigar that is a Maduro, therefore, you will probably want to pounce on it, to make sure that you are going to be able to enjoy it, and to be able to continue to enjoy it. This means buying the cigar when you can find it, and finding a brand you can trust, and a vitola you can trust. CLE’s Prieto is just such a cigar. So, what sets this cigar apart? Well, it begins with the beautiful, dark, and oily wrapper, the Connecticut Broadleaf, which imparts a rich flavor. Add to that Nicaraguan tobacco, and you end up with a cigar that is flavorful, with a lot of hints of red pepper and chocolate, coffee, and leather. If you’re looking for a great dark cigar, this is one that you are going to want to give consideration to.